Some weeks ago, my friend and drinking partner, the Sri Lankan Tamil fellow Sivapuranam Thevaram met five of his friends for lunch. The friends, Sangaram, Sengaram, Singaram, Songaram and Sungaram, had much in common with Thevaram. They were from the northern parts of Sri Lanka and were educated at excellent Jaffna schools and the Universities of Hilltop and Bridgetown. They have reached the top of their careers: a university professor, an engineering specialist in the mechanics of foundations, an expert in the systems infrastructure of lottery machines, one who knew everything unknown there is to be known about crypto-currencies, one who designs large software systems that recommend to you what to buy and a specialist in the seventh generation communication systems (are we in 4G or 5G nowadays? I have lost count, so let’s go for lucky seven). An impressive and diverse range of high achievements. When friends like these meet, topics of their conversations are highly predictable. After a few pleasantries of inquiring after their health, with particular attention to their receding hairlines, and exchange of traffic and weather reports, time travel takes them back ‘Home’. That is necessarily so, for when they were busy building their careers in their lands of refuge, a deadly war was being fought back in Sri Lanka, making ‘Home’ a place of no-return. But its end nine years ago triggers much nostalgia my friends readily indulge in. First, let us review their commonalities. None of the friends believed that a separate country in the North-East of Sri Lanka is either possible or even desirable. But all of them have used the public library in Jaffna that was torched by thugs under the supervision of two ministers of the then Sri Lankan government. 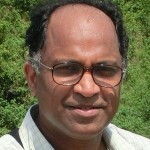 None of the friends made financial contributions towards the war in Sri Lanka, but all of them had observed how chauvinistic thinking among the Sinhala political class and narrow minded nationalist thinking among their Tamil counterparts danced in tango since the Suddhas (white folk) left us to mind our own business. None of the friends thought of the rebel leader Velupillai Prabhakaran as a friend, but all of them have observed that, with the possible exception of Chandrika Kumaratunge, Presidents of Sri Lanka were his best friends: one helping him with recruitment by orchestrating rioting against the Tamil people; one supplying him truck-loads of arms at a time he, VP, was at his weakest; and one giving him suitcases full of cash to engineer a boycott by the Tamil people of a tightly contested election. Those were times of war, and the three presidents above did it with competent military precision. In the coming months and years, if Tamil youth, misguided by a repeat show of cheap nationalism that hides the incompetence of the elected local chief, start throwing stones at soldiers, then the incumbent would also be guilty of the same. This time, sadly, by sheer incompetence. Presidents can afford to be traitors, the only lesson that we Sri Lankans can claim to have taught the Americans. Back in the restaurant, over lunch, our friends noted two anniversaries in the near horizon: five years since an elected local government has been in office in the Northern Province, and shortly after, ten years since the end of the deadly war. That being the case, questions such as “what has been my/our role?” “what could be my/our role?” “is there a contribution I and/or we can make?” inevitably come into conversations. If you are in such a gathering and do not hear such questions, casually drop the name C.W.W. Kannangara in the conversation and see the reaction. Thevaram reported on a recent trip to the former war zone. “There is some development,” he said, “the university has expanded and built a faculty for engineering in Kilinochchi, there are a few factories – branches of Colombo based businesses, and one or two software companies have toyed with the idea of opening small branches there, but finding it difficult to retain staff, and of course the A9 road is kept carpeted to high standards. “The last of these, i.e. keeping open a good highway, ignoring the drudgery 100 yards perpendicular to it in either direction has a purpose,” Thevaram continued to explain. “Post-war, it was thought necessary to keep the troops in camps in the North, in a constant battle-ready state, so they may not come into too much contact with the Southern population and could be brought back within a few hours to quell any rebellion. “And the people who financed the war with hundreds of thousands of dollars — and brought upon the Tamil people immense destruction – what can they show by way of a positive contribution in peace time?” he asked. “It is going to be ten years since the end of the war. Have we been able to create at least one sustainable job back `home’, using the expertise and purchasing power we have?” he lamented. They all agreed that there isn’t much point in thrusting upon a community our own respective expertise with poor knowledge of the local context, its precise needs and prevalent attitudes. Maybe, there could be better coordination from the local government in identifying what the shortages in skills are, where new ideas and expertise are actually needed and where some external funding could be tapped into to leverage developments already happening via government investments and local private-sector activities. Maybe, there could be efforts from the local government to make people feel welcome when they do try to engage. The friends agreed that no positive action towards engaging the likes of them has been forthcoming over the last five years because the local government has been preoccupied with passing resolutions on how to spell the G-word. Nationalism, they felt, was a nice cover for incompetence. It was a missed opportunity, both for Sri Lanka as a whole, and specifically for the northern region. Is there a solution to this, they wondered. I thought it unlikely because the CM was a respected judge of the Supreme Court of Sri Lanka with extensive education and experience. He was brought out of retirement to head up the local council, and I was one of those who felt elated to see him standing on the balcony of the Jaffna public library when the British Prime Minister David Cameron visited that part of the world. Who then was Thevaram proposing to replace the Honourable Chief Minister with? “Impossible. Who has such stature?” I challenged. The Paandiya king was no tyrant. He was a great pal of the minister who swindled the funds meant for buying horses. He was also a devotee of Siva. The man simply upheld the law of the land, and was duly humiliated. The lesson is about applying the law against God’s favourites. Divine meddling with the law (and laws of nature) is well known in all religions. What is materializing foxes to someone who can transform foxes into horses? The late magician Satyasaibaba could do it. This bit of the narrative would have been more apt for the law and order situation in the country. Good. An artificial intelligence software is the need of the hour. Wigneswaran’s brain has got calcified after going to Jaffna and drinking the local water too much. A satire which brings ,sarcastically about the inner thoughts of the ‘upper’line’s creams who eying for opportunities in post War. A nice work. do they really want to comeback leaving their lucrative jobs,or are they just making excuses.Money is everything isn’t it.If you go to the swiss alps you may find a sri lankan tamil with shop.Did he go there and shiver the whole day to uplift the swiss? The Chief Minister is an unfortunate man battling corruption, which has now pervaded the north and east, from the south. No software can replace him. He appointed a couple of corrupt officials at the outset, which he could have avoided. He is not entirely above blame. The real challenge is his lack of experience in public administration. The crux of the matter as you say is lack of public administration, and to see it in a different light, lack of political influence. Did we/you/the CM know they were corrupt before those appointments were made? Not quite! If this were true, during his tenure, we would have seen him learn on the job and get better at administration, a skill that can be learned. We saw no evidence of that. Instead, as the author says, the CM relies more and more on Tamil nationalism of the Seventies. So, please stop making excuses and see the danger ahead. We have been here before. Why should I make excuses for any. I defend none in this game. Today’s tragedy is born of Tamil nationalist electoral opportunism. I will not name people. If you were around four years ago you would have known whom I am talking about. Learning on the job is not easy as one gets old. People are pretty well set in their ways by middle age. CVW is ‘an year or two older’ than middle age I guess. He was and is a superstitious Hindu with rather unscientific views in matters of culture, language and religion. That and his lack of political experience was known to the TNA and they used him to avert a little storm. They pay the price for their opportunism. It will be useful to ask why many, especially young, people in the North are getting nationalistic. CVW is voicing that frustration. How he does it is not to my taste. But that is the reality. People expected much from him because of his impeccable and courageous record as a judge. Although disappointed with his performance, the public trusts him more than any TNA and TPNF leader. Try persuading the public not me. I have difficulty with this. To most senior administrative positions, people are appointed during/after their middle age. Think about chairmen of public bodies and charities, ministers in government and members of university councils. People DO learn on the job using knowledge of the environment and its needs. There is usually plenty of data around them to figure out what is necessary. What is needed is the ability to understand the data and have an open mind. Those who are inflexible and claim their ways are so set they can no longer learn should decline to take on such tasks. I cannot speak for any but myself. CVW did not claim that he was inflexible or set in his ways. That was my assessment. I was not making excuses but only tried to explain. We are dealing with a person with hardly any political experience and even less public administration experience. The choice was bad, and was made for opportunistic reasons. It worked far better than the TNA thought, and now they have a problem. CVW is trusted by many not because of his performance or quality of leadership but because to many he seems more honest than the rest of the leaders, for reasons good and not so good. Can we change that reality? SJ: OK, assessment not excuse. Thanks. But should we observers / stakeholders not expect some sense of accountability from CVW who was tasked with running a local government but kept himself busy with nationalist slogans and religious theatrics? Why single out an individual when the whole team was party to what went on in the NPC. The TNA pledged various things before the NPC election and what went on in the NPC was part of that agenda. CVW’s nationalist slogans are no different from those of the FP, TULF and now TNA, which the TNA tries hard to forget, since its marriage to Yahapalanaya. He stayed put, when political exigency urged the TNA to ‘move on’. I will not accuse him of religious theatrics. His public appearance has for long been like what it is now. He has not whipped up anti-Christian or anti-Muslim feelings. I have heard much worse from some of his harsh critics in such matters. SJ: “Why single out an individual when the whole team was party to what went on in the NPC.” Because this is not a random individual. The job he accepted has the word “Chief” in its title. Agree CVW’s nationalist slogans are what the TNA is trying to forget. Which is where my problem is. These slogans need to be forgotten and the Tamil people weaned off them. “an artificial intelligence software!” Wonder what this software can solve ? Perhaps could be even used in the entire country !! 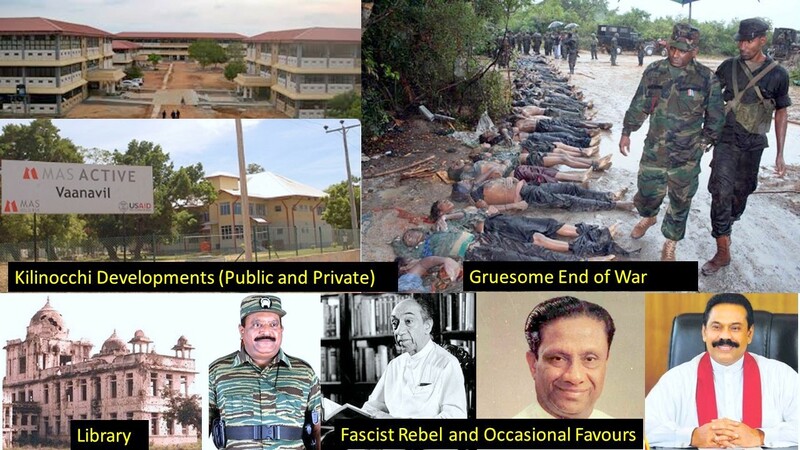 Tamils and other communities that have been at the receiving end of state terror don’t need to overly worry about the free education they got, because what the state gave with one hand, it took away with the other, by unleashing terror and destruction and by continuing discrimination and injustices. The State has to do a lot more to bring justice and fair-play before it can talk about the free education that everyone gets. Secondly, the professionals you talk about are probably upper middle class, but hardly “rich,” in the sense of being able to leave their jobs and focus entirely on helping people “back home.” They probably still carry mortgages and have expensive college tuition for their kids which they can’t pay off at once. The best they will be able to do is to spend a few months a year in SL, unless they are retired. As for AI, while you are talking tongue-in-cheek about the CM, I would say, there are indeed some positions, like the governor of a central bank, that should really be replaced with AI. That is often the Libertarian position, but I would agree with it even from a center-left perspective. Recently Henry Kissinger wrote an article in The Atlantic, raising alarm about AI’s potential to transform the world order. As someone who has worked in the field, I know the limitations of AI, and don’t share the alarmist positions raised by non-technical people, as well as some technical leaders like Elon Musk. But there is something that Kissinger said that bothers me. He saw AI as having the same impact as the invention of the printing press, which supplanted the ‘Age of Religion’ with the ‘Age of Reason.’ This was in the 16th century, so we have had nearly 450 years of ‘Reason’ but then what are religions still doing? Correction: The printing press was invented in the 15th century and we have had more than 550 years since then. 2. The child molestation scandals in the Catholic church, and the schism between the Pope and some Cardinals. It is what happens when people put their faith in things that have no basis in fact. But in South Asia, it seems that it is much harder to change the hold of religions, even when exposes are made of charlatans committing various crimes in the garb of religions. You got something wrong. A homeland for Tamils is important as the West needs a military camp dominating the new PACIFIC-INDIAN OCEAN. Remember When wigneswaran when came at the beginning he could not take it and got panic attacks was staying in the Cardiac section of the Intensive care in the Yapanaya Hospital. but he is different no longer a Judge. 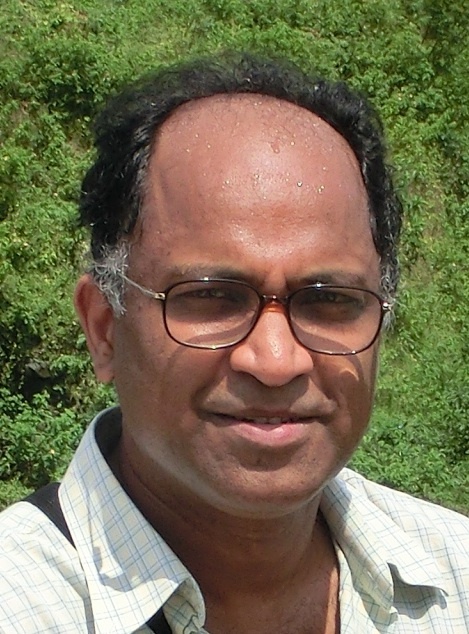 Sumanthiran is Important for Protestant ans as Hindu tamils are a group (just like Sinhala buddhists) to be managed and looks after. Even LTTE was important as both Groups hat to be managed for the sake of the Security of the then Indian OCEAN. Now there is aother problem as the elelctions are near. wigneswaran will employ LTTE and join the new govt. On the other hand, TNA has 16 MPs and but not that many people to represent. So, scuttled Delimitation report was importnt for many reasons. Anyway, another LTTE – Tamil HISBULLAN is history. More than the Tamils, for TNA, it is important to protect their 16 MPs. I wrote twice, that Only peole asking sambanthan anything about the govt and not about the development are Sinhala. Sambanthan knows it so he is with the Yahapalanaya. what is wrong. You can not politics from your naturalized homeland come and join. then you will understand the way they do is the way. One thing BRAIN-FACOTR of the leaders limits their vision and abilities. Sivapuranam Thevaram is right . We are already being controlled by artificial intelligence. Even Mahesh Nirmalan, Professor of Computer Engineering, is not sure whether we’re now at 4th or 5th Generation; I’m not even sure whether that applies to Software or Hardware. What I can clearly see is that most people now opt for free gmail; that Google controls our thinking in ways that advertisers want them to, and few have woken up to that fact. Have you noticed that now, when most of us receive a gmail, the message has already been assessed, and three short answers, appropriate to that particular message have already been suggested? And, if we don’t respond, they keep reminding us for ten days that we have reply. What chances for human nuances to enter? But certainly right that it is time for us geriatrics to retire. Enter, the crooks and manipulators. It should be Thomson, Sinhala_Man, not Thompson! Explain yourself, please, Tee Twenty. I’ve read quite a few of the Tin Tin books, but I’m not sure what exactly you mean. For example, do you mean the contrast between Software and Hardware. Or between Crooks and Manipulators. It may be that I was always a bit dumb, or perhaps seeing the inanities of the likes of Jim Softie and Mrs Udubeddawa are taking their toll. I’m not putting you in that category. Simple: Second line of your post. Error in name. Yes, of course: Prof. Mahesan Niranjan. I agree that it is insulting to misspell a person’s name. So, thanks for pointing out. As one gets older one gets more prone to typos, but I think names matter, especially when it is on the same page. It is also serious when one has so much respect for all the bearers of that name in the family. Getting Mrs Udubeddawa’s name wouldn’t matter; it’s a pseudonym to start with. Technically, your friend Thevaram can not claim originality for the idea. In fact that credit goes to former LTTE advisor Visvanathan Rudrakumaran ( VR for virtual reality) who not only proposed the idea of a software solution but successfully implemented too. He single handedly created Cyber Ealam and labled it as TGTE. Still running with a well structured cabinet of ministers, all Sri Lankan Tamils are citizens by default. All you need is an Internet connection and taxes are paid in crypto currencies. A unique experiment in statecraft and modern technology where Tamils in Sri Lanka feel they have finally reached the goal with no bloodshed ever in the future. A win-win situation for both parties. I remember I was overwhelmed by the creativity of a son of Sri Lanka that I proposed him for a Noble nomination and requested Sri Lankan government to provide free Internet access to all Tamils. Living in Cyber Ealam is next to bliss, my Tamil friend Rama confirms. It is surprising that some of these people have no discussed the possibility (fact) that Wigneswaran (note, not Vigneswaran) is already operating via a pre-written cyber script. what he means is, we need an update. No doubt. Just as Ranil W put in surrogates like Gen. Fonseka and then Srisena as he himself cannot run, Sampanthan had to put in his surrogate CWigensewaran but the software had a virus in it. It did not perform as expected. ; insted, it infected the system. Any artificial software is dangerous as it is sure to have Trojans planted by (i) Russians, (ii) Chinese (iii) RAW, (1v) Western interests who usually use the Norwegians as a catspaw (v) the sinahalaya-modaya network (vi) the Muslim Majlis cyberteam (vii) Rudrakumaran et al (vii) the GTF (viii) the 4th International with the Kumar David types still addicted to their scotch and LSSP slogans kept within the limits of Colombo clubs. Given so many hackers trying to plant stuff in software, it is clear that these so-called learned Pandithayas assembling at the “bridgetown” pub are basically some what similar to the men of Gotham, or the Tamil “Kathai” about cluelee “Pandits”, or the “Mahadenamutta” stories of the sinhalese folklore. How can they forget that “artificial software” is ALWAYS likely to contain malware!